Gift Rep Sandy here with an amazing find! • Effective RETAIL AND WHOLESALE pricing — on the same website! • Ability to drop ship directly from vendors – with Automatic Notifications to them! • An INTEGRATED affiliate program! • Ability to take orders directly online for my rep clients – including multi-source shipping costs – with ONE online order! • An integrated GIFT REGISTRY! • An integrated Auto-Responder email system! • Rich SEO (Search Engine Optimization) options! • Integration with major SOCIAL MEDIA (fairly recent requirement)! • And lots more… but these were the biggees for me! In 2002, we paid WAY too much for what was the crème de la crème of shopping carts at the time. In the 11 years since, we’ve continued to look, explore, and study alternatives. I estimate we’ve done a free trial or heavy research on at least SIX DOZEN shopping carts. Several times – based on recommendations – I started a free trial to see if the technology lived up to the billing. I was always disappointed. Minor improvements in the feature set, or even SOME new features, were not enough to entice me to start the hard work of migrating my “catalog” websites to a new platform. We have found “the bomb” of e-commerce platforms, for the small product marketing business looking to sell effectively online. If you are ready for something better, PLEASE check out this amazing shopping cart system, and CLICK HERE NOW! Once you arrive, click on the FEATURES tab in the upper left… then scroll down the left sidebar to “Complete Feature List” under “THE WHOLE ENCHILADA”! They even have a sense of humor! In addition to ALL of the “biggee” features I listed at the start of this email (YES, it has them ALL! ), there are literally DOZENS of more cool key tools with this system. And for under $20/month… with a 15-day free trial to get you started! How cool is that! Up to now, it took a $200-a-month program to even come CLOSE to this feature set… and those expensive programs, like InfusionSoft, FusionHQ, Premimum Web Cart, Nanacast, and Kajabi, still did not meet my needs for e-commerce as a product marketer. Not even close. These other services are cumbersome to use, with a deep learning curve. I even tried a couple of them. While they did offer some marketing and delivery advantages for selling information or other digital products… they pretty much sucked (may I say that?) for selling products that must be packaged and shipped. CHECK OUT MY RECOMMENDED SHOPPING CART PLATFORM HERE! I’ve started migrating the first of my websites to this platform. And as time allows, ALL of my ecommerce sites – including my repping site – are headed this direction over the coming months. Stay tuned, as over the coming weeks, I will be drilling down and expanding on the amazing features of this technology. Anyway, this email is getting too long. While I could gush another 2000 words – easily, on why this is YOUR best option for selling products online – for the long term, I am going to cut it off here. I will expand on my dissertation in future emails and posts. 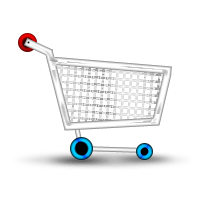 In fact, I am even thinking of starting a Facebook group for people who purchase this shopping cart platform through my links. What do you think … would that be of value?… to form a discussion forum for product marketers who are all using the same technology?? Wow, that would excite me! Normally I would not bother as the options are so diverse… but this REALLY IS a superior technology. Get THE most feature rich, inexpensive e-commerce platform on the Net with a 15-day FREE TRIAL! PS The tutorials and knowledge base for this technology are among THE most extensive and easy-to-understand, that I’ve run across while researching over 70 competing platforms. Their attention to helping their clients and customers UNDERSTAND how to do things, may be their best feature of all! You will LIKE this e-commerce service, I promise! I am already loving it.